I wasn't disappointed. 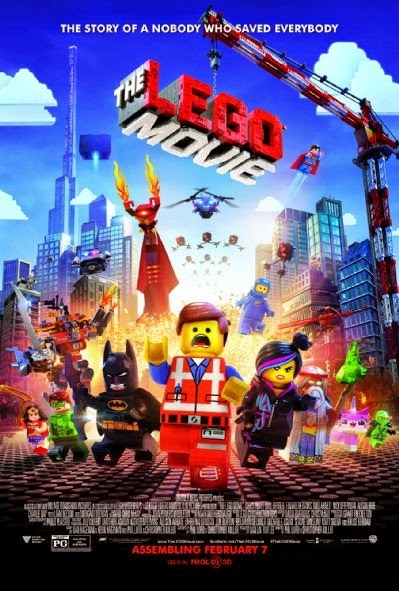 The Lego Movie is a true family film with moments for all ages scattered evenly through out along with plenty of action and visually interesting scenes that pretty much keep everyone engaged. The plot is fairly straight forward but not so predictable that you won't be surprised along the way. I will say the ending, whilst it does not disappoint, was a bit slow and a tad sappy for me compared to the rest of the film... but hey, it does put the rest of the film into context and is very relate-able to anyone who grew up with Lego and still enjoys the bricks as an adult. Unlike previous Lego films, where the mini figure characters are a lot more flexible, all the characters articulate just like real mini figures (no bending at the knees or elbows etc.). Teamed with the directors wanting to make everything look like it could be built with real Lego bricks it's not surprising many people have been fooled into thinking the film is not all CGI. (I must admit I wasn't even sure it wasn't stop motion just by looking at the trailer). I really think that this is the way all Lego films should be made. Watching the Lego Batman movie I was never marveling at the Lego world or thinking about how things were constructed. In the Lego Movie you really do notice the environment and are consciously imagining that somebody had to build all that. It never feels like a CGI film. For example, President Business, in his Lord Business suit that towers over everyone, could easily be created by anyone with the pieces used to construct him. Indeed, the movie is filled with floating Lego brick codes for specific pieces, as models are being built, should you want to track them down for your own models. Scattered throughout are many pop-culture references as well as references to different generations of Lego, past and present that the adult audience members will appreciate. 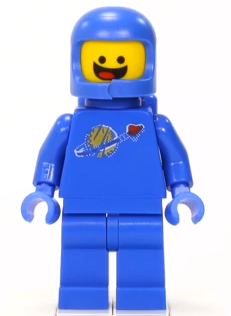 I particularly enjoyed Benny, the 1980-something space guy, who is from my generation of Town and Space Lego. The peak of my Lego collecting as a child before I graduated to Lego Technic. If you're from that generation you'll remember you could only get red or white spaceman mini figures to begin with. Then they released blue, black and even all yellow spacemen later. The voice cast of The Lego Movie is all spot on with a few great cameos and some interesting but cool casting for anyone who likes comic book, superhero movies (e.g. Cobie Smulders voicing Wonder Woman, Chris Pratt as Emmet). Only Morgan Freeman's voice registered as Morgan Freeman rather than his character, Vitruvius, largely because I could never get his character's name to stick in my head. Plus his character, for whatever reason, just kept making me think of the time Morgan played God in the movie Bruce Almighty. Overall this is an enjoyable film deserving of the good word of mouth and great reviews it has received. By default it is a big advertisement for Lego but given how much creativity the product has inspired I don't think that's such a bad thing. Most importantly it's entertaining for the whole family on several levels. I, for one, hope that future Lego movies build (pun intended) on this pretty solid foundation. Glad you enjoyed it. It gave some good reviews.